They are JUST as important as your main character. Before I move on and discuss just how important a side kick is to your main character, let's take a look at some famous side kicks in storytelling history. Oh, and feel free to comment with your own personal favorites. After all, every story has one. Star Wars - There are so many to choose from, but thanks to my love of robots from my own MG novel, I can't resist choosing these two bucket of bolts. 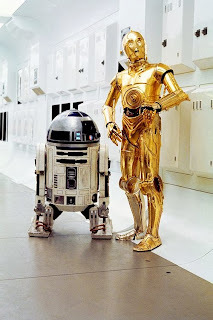 What's great about these two guys, is that they're not even human yet they show such a wide range of human emotion that you literally feel for them just as much as you do Luke Skywalker, Han Solo, and all your other "organic" characters. But that's not even the half of it. Without these two characters, the universe would be destroyed as we know it. Without that little R2 unit, we would have never seen the destruction of the death star, and who knows how long it would have taken for Luke to find Obi Wan. And what's a huge alien universe without a protocol droid? Long story short - without these two guys, our Star Wars story would go nowhere. Lord of the Rings - Sure, I could have picked Gandalf. Better yet, I could have picked Aragorn. But no, they aren't even close to the same level importance as my favorite hobbit. That's right, folks. If Sam was hanging outside Frodo's window that night, consider middle earth destroyed. If it wasn't for Samwise's undying faith and love for Frodo Baggins, Frodo NEVER would have made it to Mount Doom. What's great about Samwise, is that he is weak and vulnerable. But the love he has for Frodo makes him stronger than any weapon at their disposal. He never ONCE gives up. Okay, maybe he does have moments of despair, but he comes through in the end. Sam is well deserving of the title hero of the shire. Now what's the point I'm trying to make? Well, you can say one fact about secondary characters is that they all have their own intriguing back story that cannot be ignored. It creates some amazing depth in your story, and the fact of the matter is, your MC isn't the only person we're following in the story. Plus, it's a lot more realistic if your secondary characters actually appear to be alive, and not just cardboard cutouts or cookie cutters. 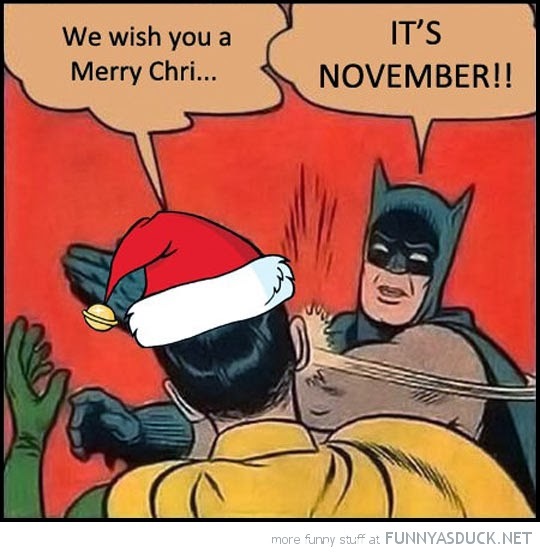 I'm sorry Batman, I forgot about you and Robin. There's one thing about secondary characters that make them quite possibly the most IMPORTANT part of any story. I want you to take a guess. Come on. Guess. Here's what it is - it's all about making YOUR MC evolve! And I'm not talking pokemon (but seriously, if you want to talk pokemon drop me a message on twitter or something). I'm talking about growing as a character throughout the story. Look at what I pointed out above with our side kicks from Star Wars and LOTR. Every one of them teaches the MC something about themselves that they didn't realize before. They go through moments in the story that are life changing for both sides. But without those side characters, there's little hope for your MC to get anywhere. So do yourself a favor when writing your story. Don't just add characters as fluff for your MC to talk to or joke around with. Static conversation with another character doesn't go anywhere. I had made that mistake plenty of times when I first started writing. Make each conversation meaningful in one way or the other. And have each interaction between our MC and sidekick move the story forward. Remember, it's not only about your MC. Where would Harry be without Ron and Hermione? Where would Wesley be without Inigo and Fezzik? Where would Bruce Willis be without Carl Winslow from Family Matters?! Get it folks? Good - now get writing, and give me some of your favorite secondary characters!